From cute dim sum to delectable sweet goods from our fave cake shops and wonderful street food, we enjoy devouring scrumptious food with our stomach (and our eyes as well). So of course we had to hit the streets and test out summery sweet treats to give you our picks for tastiest Hong Kong ice-cream shops. You’re welcome! 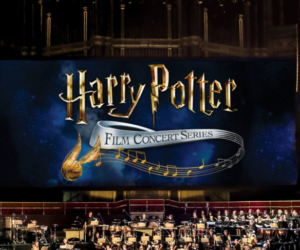 There are a number of reasons for our Emack & Bolio’s obsession. Funky cones? Check. Countless flavours? Check. Quirky edible toppings? Check. Our fix was the rainbow-coloured fruit loops cone with a scoop of deep purple cow and space cake. We got ours dipped in chocolate, and covered in rainbow sprinkles. 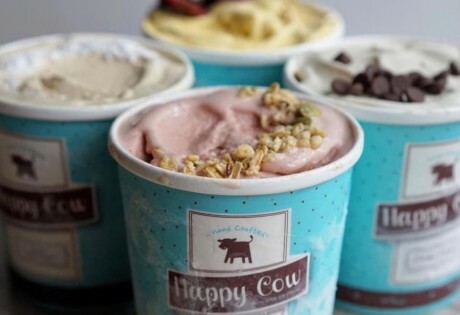 This Hong Kong ice-cream store definitely speaks for itself. Every corner of this parlour is totally Instagram-worthy, so make sure you pop by in your cutest outfit just in case you might want to snap that #OOTD, honey! 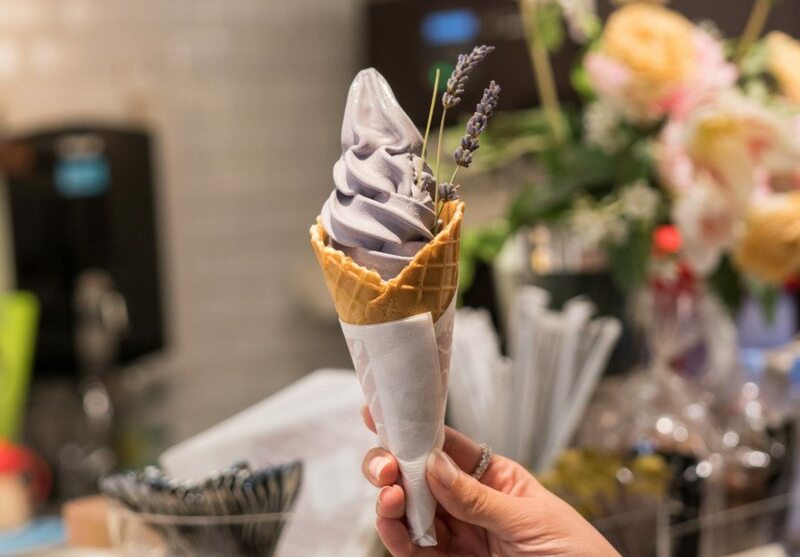 This affordable handmade Hong Kong ice-cream and coffee shop is renowned for their range of gelato, chouquettes and gelato choux. Owl’s Choux & Gelato is listed on the Michelin Street Snacks in 2017, and encourages its customers to design their desserts. Find classic flavours like red velvet and even unique combinations like popcorn and rocks. 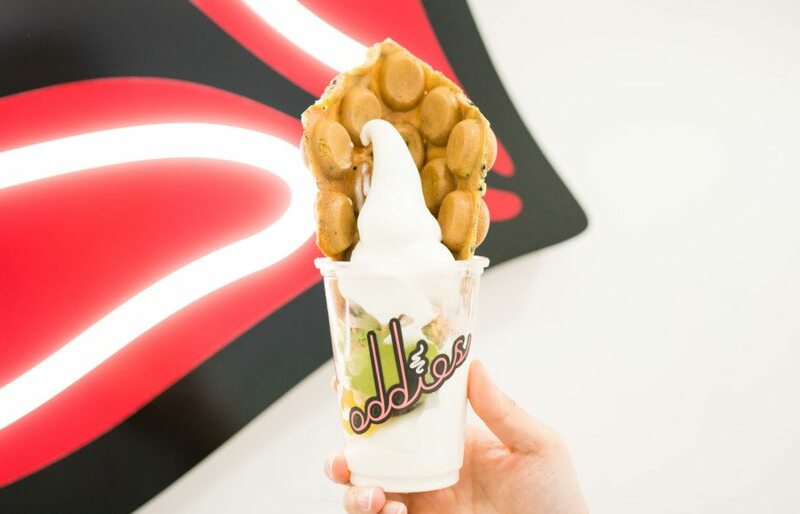 Oddies has gained a reputation as the spot for any ice-cream connoisseur, especially if you’re craving the classic HK-style egg waffle and soft serve combination. Just like how its interiors are filled with accent pop-art pieces, the homemade ice-creams are also given an artisanal touch. Fresh new batches are only made when the previous one runs out, and each and every flavour is homemade, giving all scoops flavour and character. 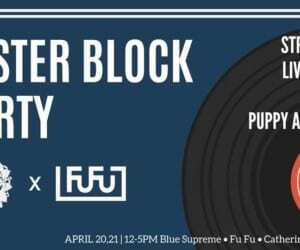 But you’ve got to bookmark this spot for The Mob which features black sesame mocha eggettes, apple yuzu jelly, homemade matcha ice cream, and awesome wafer chunks making it the trendiest ice cream in town. Find fruit and milk-based ice pops that are made from quality and natural ingredients at I SEE i SEE. No two individual ice pops are the same as I SEE i SEE only make small batches that are sourced from seasonal fresh fruits. 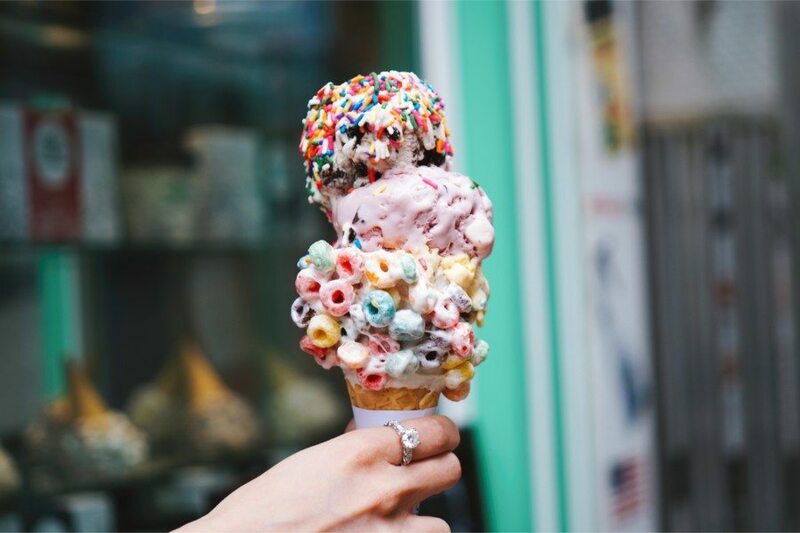 We also think it’s amazing that there are no added preservatives or colouring in these sweet treats – making them a star on our Instagram-worthy Hong Kong ice-cream list! 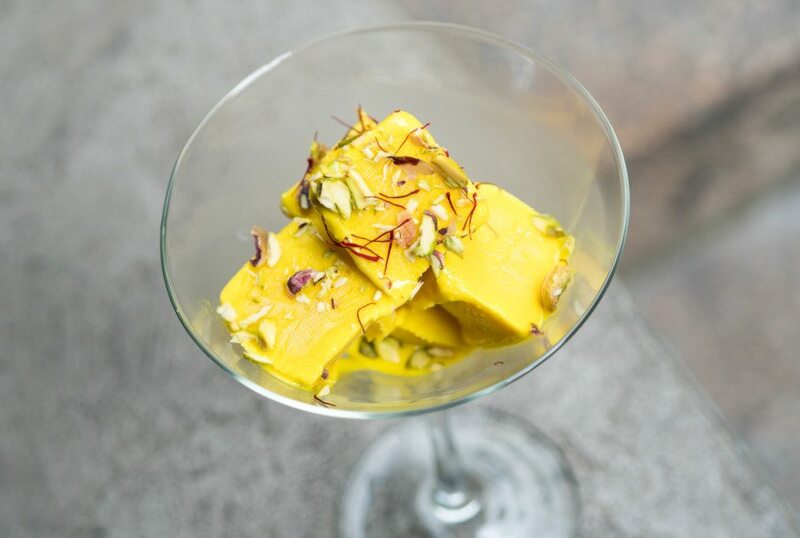 If you are looking for a unique ice treat, then you must try the cold creamy kesar kulfi from Bindaas Bar + Kitchen. Kulfi traditionally has one primary ingredient – full fat milk that has to be boiled for hours to achieve a silky, caramelised flavour. Simmering it continuously for long hours lends the distinct flavour and the irresistible smooth texture that has us hooked on this delight. This version even comes with almonds, pistachios and spices like cardamom and saffron (a.k.a kesar) hence the name! Yes, we know it’s not technically ice-cream… but Smile Yogurt offers some of the best instagram worthy desserts in Hong Kong. This frozen yogurt swirl concoction is served in a range of flavours from green tea, mango, strawberry, chocolate and loads more. Get your camera and your spoons ready! Nothing beats the unique ice-cream flavours available at Elephant Grounds that include Thai iced tea, earl grey cookie, and many others. 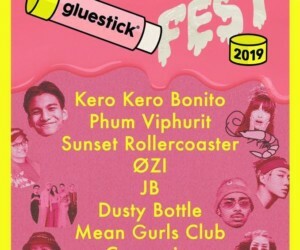 Due to its creativity, this homegrown brand now has five branches in Hong Kong. Instead of going for a cone, we’d suggest the Red Velvet Oreo Smash Ice Cream sandwich. 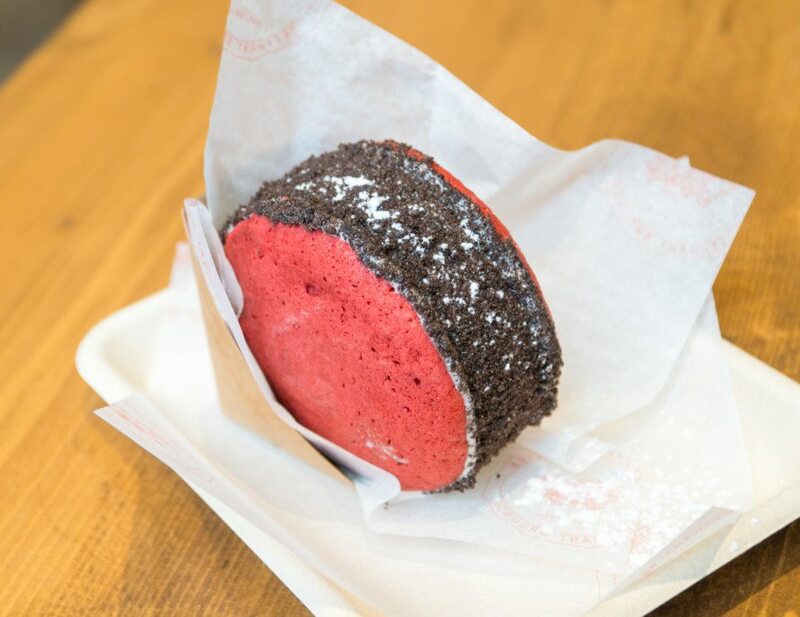 In place of the ‘typical bread’, Elephant Grounds uses red velvet cake ‘cookies’ – setting off those whimsical childhood ice cream truck memories. You’ll love the combination of candied peanuts, strawberry jam and Oreo ice cream in every bite of this crunchy goodness. The decor at this stylish joint is more fashion boutique than simple scoop shop. Combining the best Japanese flavours with Italian flair, the dessert parlour has become Insta-famous for its inspired use of premium ingredients and playful presentation – including fresh fruit parfaits where the ice-cream is served within a Japanese melon, and colourful creations utilising traditional uji-matcha from Kyoto. This season – think violet and dulce de leche, darling. The hero on the menu which is a personal favourite of ours is the edible lavender gelato. It’s rich in texture and not cloyingly sweet with a slight tinge of aromatic lavandula, and the scent is enough to drive you downtown to the spa. 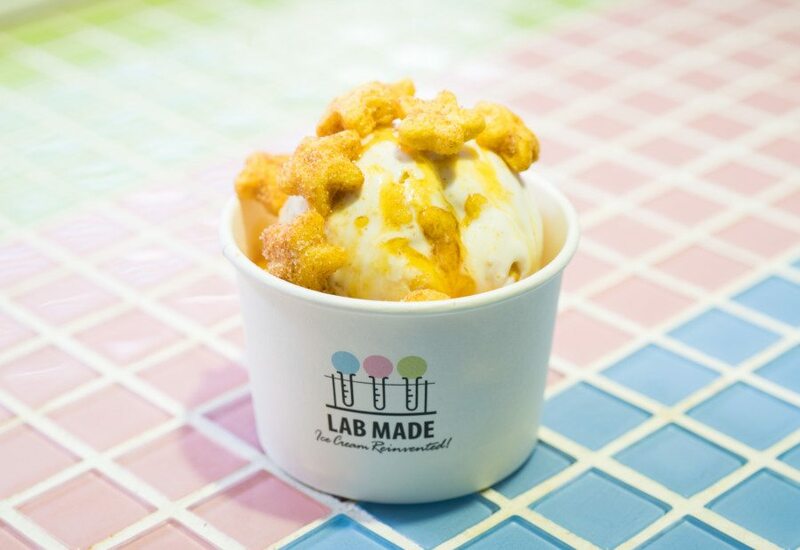 Serving freshly made ice-cream using liquid nitrogen, Lab Made uses this rapid freezing procedure to eliminate chemicals and additives from ice crystals that form during production, thus making the texture smoother and the taste much creamier. The variety of flavours are mostly influenced by foods that founder, Ronnie Cheng grew up with and many of us locals can identify with too, like Purple Rice (which will remind you of tong shui) and the Sea Salt Milk Caramel Crunch – an oh so HK-style indulgent taste sensation. 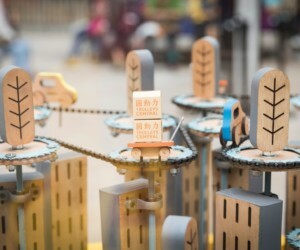 Want more food in the city after all the Hong Kong ice-cream? Check out our favourite street food in Hong Kong, discover where the best burgers are, and sample these new brunches in Hong Kong.